I Got Your Back, Hailey came as a sort of surprise. When the story took off, I honestly wasn’t exactly sure the role Parker was going to take. I’ll always confess to being a “pantser”. I usually let my characters run the show; they haven’t let me down yet. This one was definitely more along the lines of what I love to read – romantic suspense. Even through my edits, I found myself wondering how they’d get out of their latest mess. When I sent it out for reviews, I got the most amazing e-mails from fans, begging for more. I couldn’t disappoint, so I quickly began working away at the sequel. There is nothing I love more than a good series, and following a favorite author. I hope to see many more come from this bunch of misfits! Besides 3 authors, all I’ll read are my friend’s books so that kinda makes me all over the board. I’ll give anything a shot, but I love a good suspense or anything that keeps you wanting to turn the page to see what happens next. Lucas Davenport from John Sandford’s Prey series. Again, I love following a character from book to book. I’ve read him for years and will hate to see it end someday. My first release was a time travel romance – Dustin Time. Fans asked for more so I wrote a sequel. I never thought about writing a third but after I was released from my contract and rereleased them, the characters decided they weren’t done with me. I was afraid to say anything in case I didn’t see it through but I’m more than halfway in and still going strong. 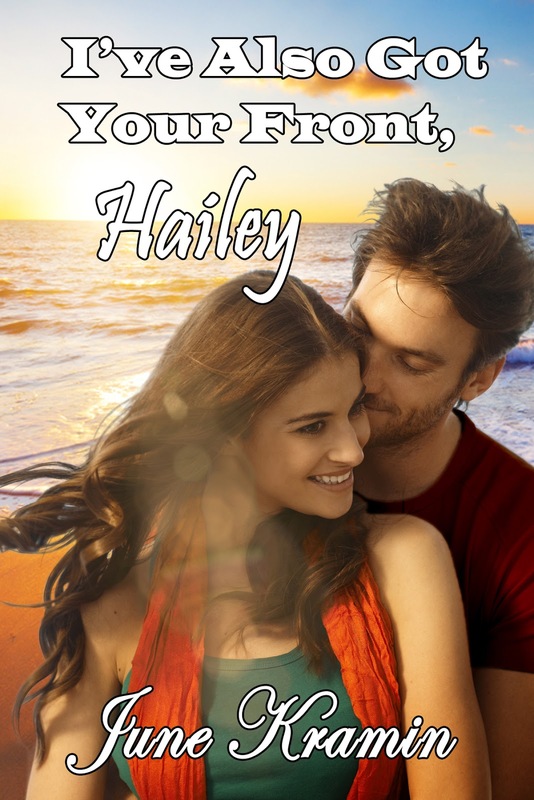 I do plan on another book in the Hailey series as well – or several. We’ll have to see what they do to me. I still have some early books that I keep saying I’ll go back and beat into shape, but new stories keep getting in the way. I always have a ton of pots on the fire. Hi June, Hi Kayelle! Just popping by (late :<() to say how much I enjoyed this book. Big fun!